Having a background in commercial food preparation or even chef training is not a prerequisite in becoming an innkeeper. But many of our clients that are now innkeepers were professional chefs. In many of their backgrounds, breakfasts were never a part of their repertoire. Therefore some AM cuisine creativity was in order. Take this example from The Inn at Pleasant Lake, New London New Hampshire. 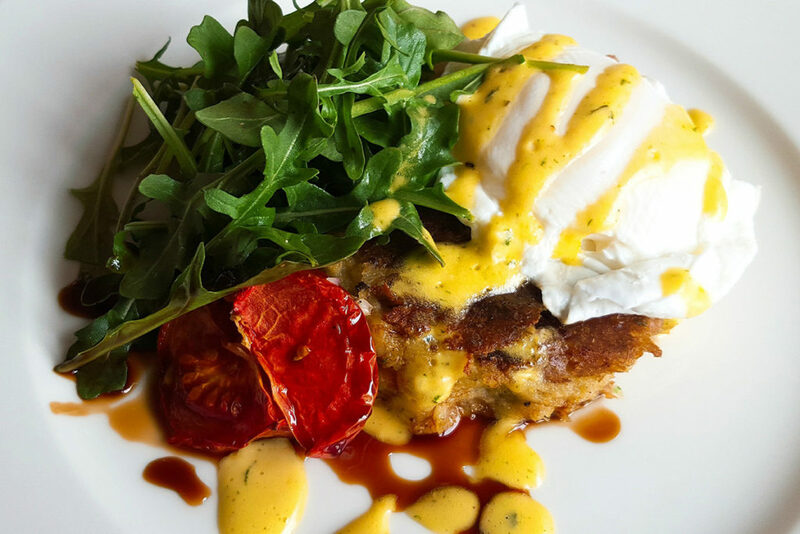 This dish was voted one of the ‘Best B&B Breakfasts Tournament 2016’. Bed and Breakfast. com. Before becoming an Innkeeper, Phil Crispo was an Associate Professor at the world-renown Culinary Institute of America in Hyde Park, NY for over eight years. With partner Sue Walser they became innkeepers of the Norumbega Inn, Camden Maine in 2012. He is a master of ‘put an egg on it’ cuisine. Here is one of his breakfast creations. 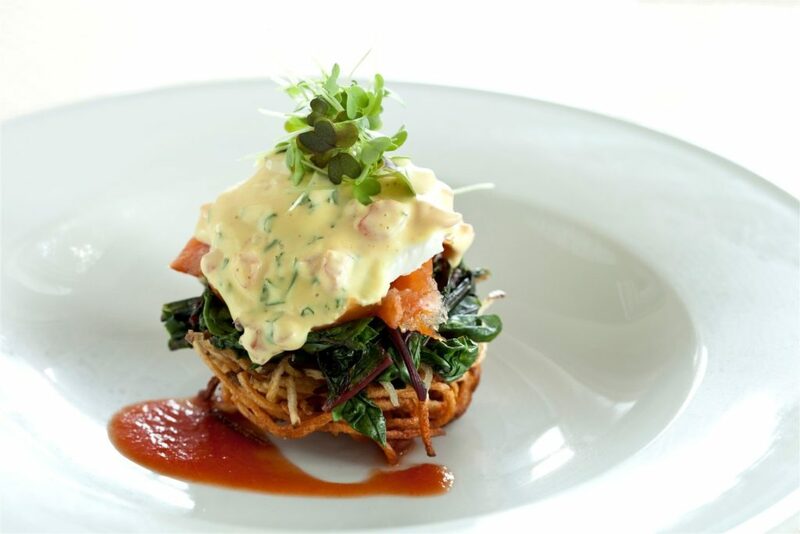 A potato nest, spinach, smoked salmon, a poached egg and sauce. Now I know that Phil and Sue describe it much better than I did but it looks delish and it tastes the same. Rick and I were lucky to have sampled this creation. Very trendy these days are breakfast toasts. These can be savory or sweet. The presentation tends to be very simple and many boast energy boosting qualities. My favorite go to breakfast toast: one slice 9 grain bread, ¼ sliced avocado, fried egg and Shiraca sauce. 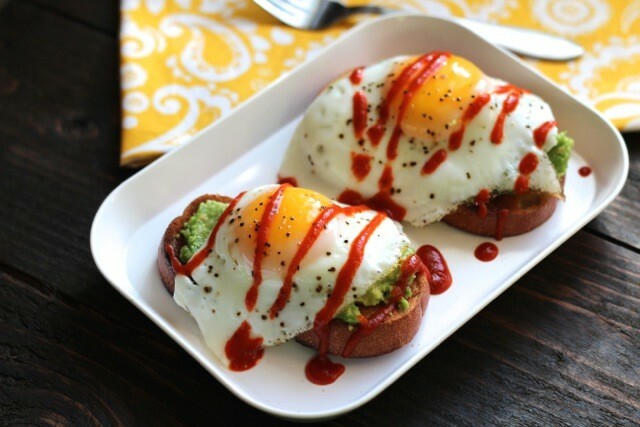 This simple recipe can be transformed into B&B breakfast worthy. Take a look. 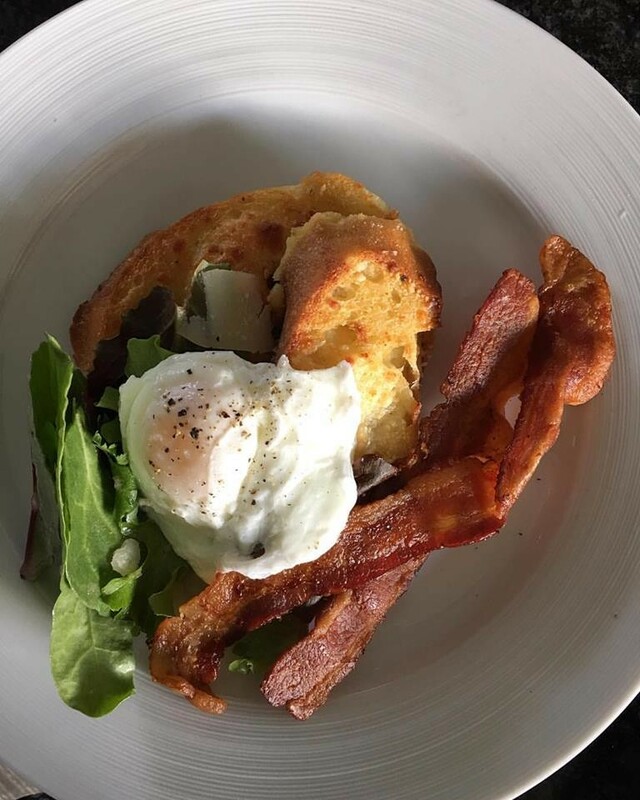 Kate Parisi at The Inn at English Meadows prepares and presents some spectacular breakfasts. The art of using simple ingredients with artistic presentation equals WOW in her kitchen. Parmesan French toast with super crisp bacon! I could go on and on with some wonderful B&B breakfast examples. From Benedict variations to simple ingredient toasts. Planned creatively and executed properly, the variety is endless. Just remember, whenever in doubt…just put an egg on it. Find more creations by Dana Moos, Broker, The B&B Team and author of The Art of Breakfast. 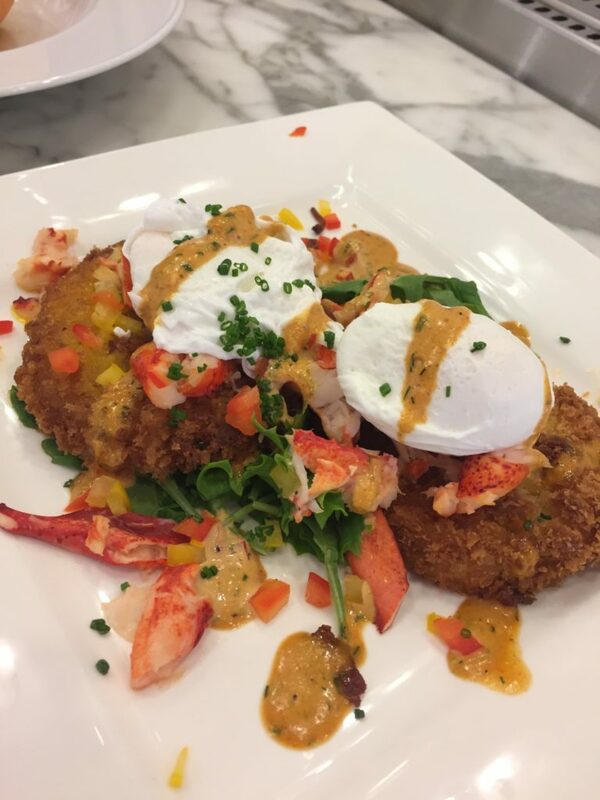 Dana’s creation in lead photo; Fried green tomatoes with poached eggs, lobster, remoulade sauce and fresh chives! This entry was posted on Wednesday, February 15th, 2017 at 7:27 pm	and is filed under Innkeeping Business. You can follow any responses to this entry through the RSS 2.0 feed. Both comments and pings are currently closed.